What happens to the leaves on the trees in the fall? These questions should help establish what the children know about the fall season. 1 little leaf, 2 little leaves, 3 little leaves today. 4 little leaves, 5 little leaves, Whoo! Blow them all away! They are the children's delight. Cut a tree shape from brown paper, print the children's hands on the branches. Ask children to dip their hands into paint. Use orange, yellow, red and brown paint. Put them together and you'll have two. Type this poem onto paper with drawings of leaves on it. Print enough copies of this for the entire class. Ask the children to color the leaves on the paper to match the leaves in the story. The children enjoy the fingerplay and coloring. Start by reading the poem and doing the fingerplay. Then have the children recite the poem and do the fingerplay with you then the final part is to have the children color the leaves in their copy of the poem. This activity is working on listening skills as well as following directions. Take a pile of leaves give each child a small (handful) pile of leaves. Ask each child to count the leaves. Next ask them to sort the leaves by color. Then ask them to match the leaves by shape. This is working on basic counting, sorting, and matching skills. Using poster board or cardboard (enough for each child), cut into a wreath shape have the children use fall items collected from a nature walk. The children will choose items and glue them to their wreath. This activity is fun but also gets them thinking about what happens in the fall. 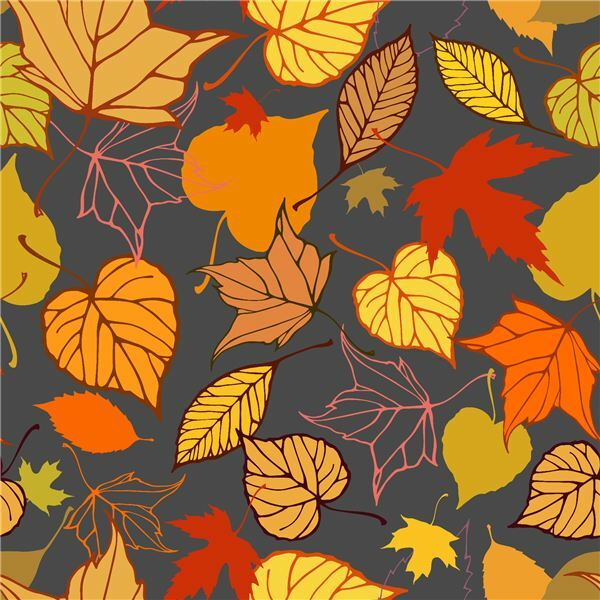 Print up an assortment of leaf pictures or fall leaf themed pictures for the children to paint or color. These pictures can be used in decorating the room. This activity is fun, relaxing, and teaches them about the different trees and leaves on the trees. The library area should display posters and have books and videos about fall and harvest time for the children to look at, read, and explore in order for them to learn more about the fall/autumn season.